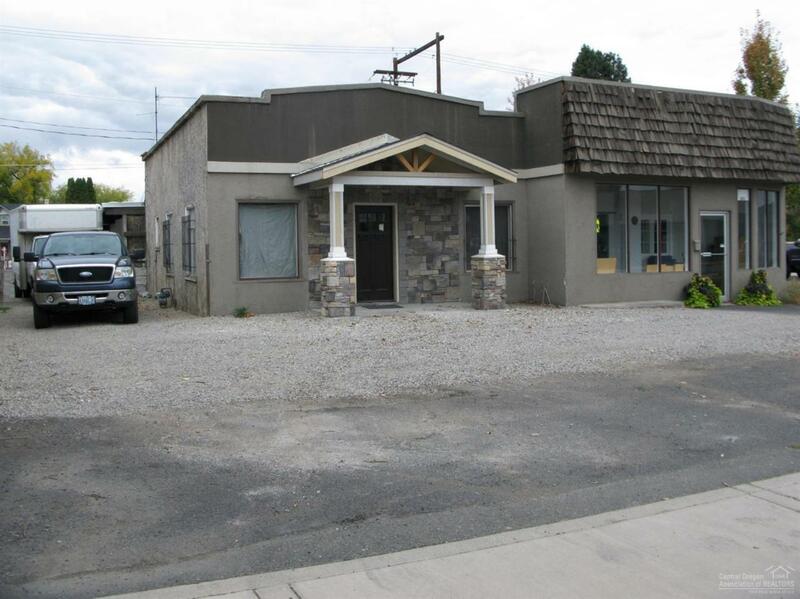 Incredible opportunity to own a corner lot with huge warehouse, showroom and living quarters attached. Check with City of Redmond for all the potential uses of this property. Excellent exposure to all the downtown traffic and intersection has a signal for even better exposure. Prior uses included an antique store. Property has has some recent upgrades and remodeling. Listing courtesy of Burkley Realty. Listing provided courtesy of Burkley Realty. © 2019 MLS of Central Oregon (MLSCO) . All information is deemed reliable but is not guaranteed and should be independently verified. The content relating to real estate for sale on this website comes in part from the MLS of Central Oregon. Real estate listings held by Brokerages other than Stellar Realty Northwest are marked with the Reciprocity/IDX logo, and detailed information about these properties includes the name of the listing Brokerage. All content displayed on this website is restricted to personal, non-commercial use, and only for ascertaining information regarding real property for sale. The consumer will not copy, retransmit nor redistribute any of the content from the website. The consumer is reminded that all listing content provided by automatic transmission by MLSCO. This content last updated on 2019-04-24T23:43:36.243. Some properties which appear for sale on this website may subsequently have sold or may no longer be available.